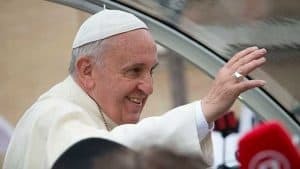 Recently, Bitter Winter reported about Catholic churches being shut down or venues being closed arbitrarily across China. We have now received reports about several more Catholic churches that were previously shut down on the pretext of their dilapidated state and were approved for reconstruction. Authorities, however, are now blocking such efforts. 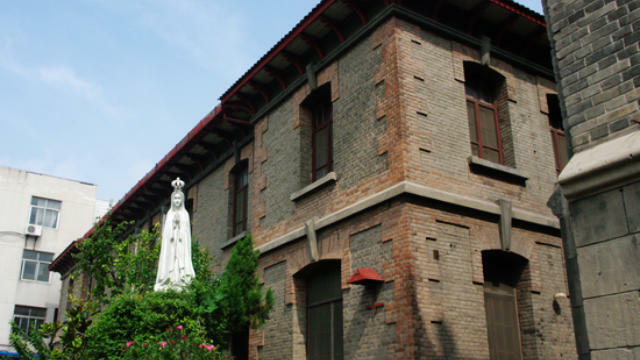 In 2010, the Nanyang City Cultural Heritage Administration Bureau in Henan’s Nanyang city inspected the Jingang Catholic church located in the Wolong district. The bureau approved it for reconstruction back then, but later, when the efforts were underway, officials blocked the process several times. They even tried threatening the local building material suppliers against selling to the church, warning them that their licenses may be canceled. Towards the end of last year, the church’s president was extorted twice and forced to pay nearly 150,000 RMB, or 21,000 USD, in fines. Meanwhile, something similar took place in Fujian’s Ningde city. Sacred Heart Catholic church was pulled down due to its dilapidated state. But when the reconstruction work started in November 2014, it was brought to a halt by the authorities. The church still hasn’t been built, and the believers can only meet in its basement. The priest is harassed even now and frequently summoned by various government departments for ideological discussions. However, the persecution of Chinese Catholics is not limited to their churches. Last year in October, authorities also pulled down the cross from the Catholic Holy Trinity church in Henan’s Puyang city. The church was then sealed off. Meanwhile, in Gongyi, another city in Henan, the president of the Catholic Association in Beishankou town, said that the Catholic meeting venue in their area was the only government-approved place for many believers who lived nearby. But as of April 2018, it too has been subjected to persecution. The president said that ever since the authorities destroyed the tomb of Bishop Li Hongye on the site, the meeting place has been closely monitored. Whenever the believers gather for weekly worship, officials show up for their inspections too. 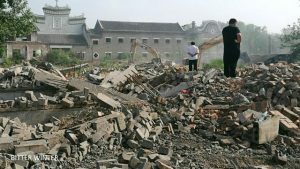 In April, the Gongyi government had also demolished the Hutuo village Catholic church, dispatching nearly 100 personnel for the task.